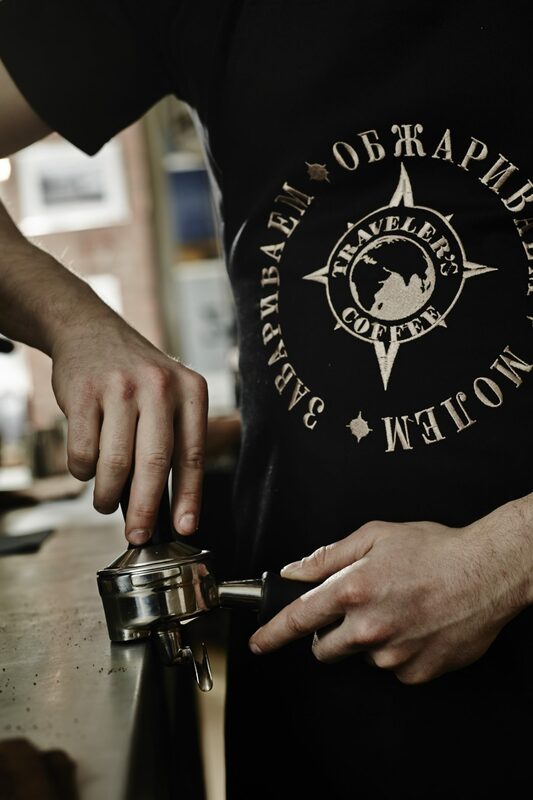 We spent three years working closely with our Russian friends at Traveller’s Coffee, helping shape their brand, uniforms, menus, in-venue graphics, loyalty cards and packaging. 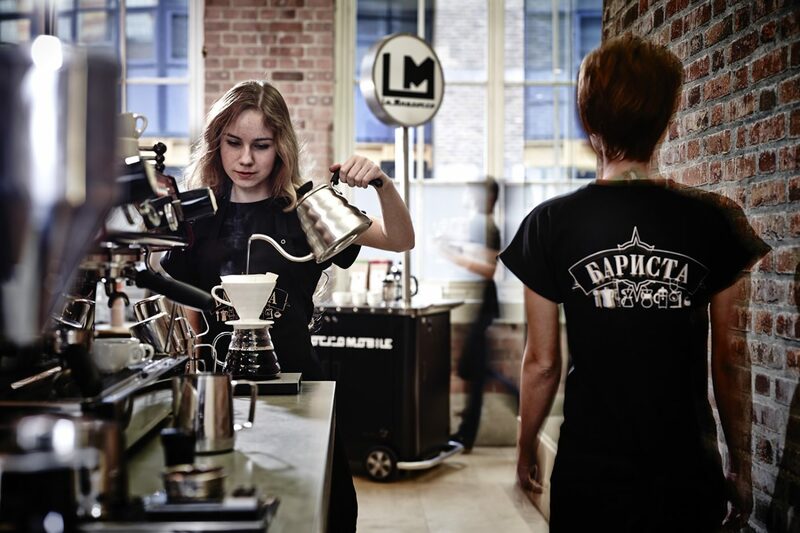 Our remit as their ‘English Creative Directors’ also encompassed the interior design and styling of 30+ of their speciality coffee shops across Russia and China. Sometimes the simplest concepts are the best. 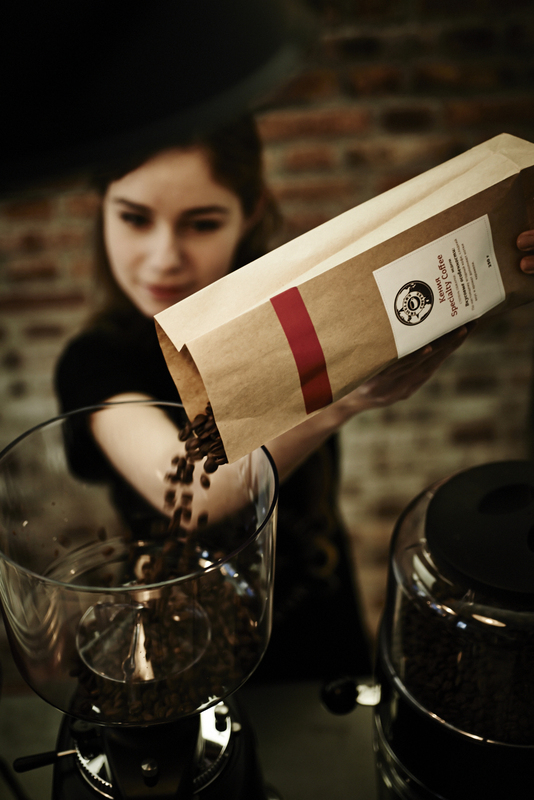 The brand’s network of specialty coffee producers extends to every corner of the world. 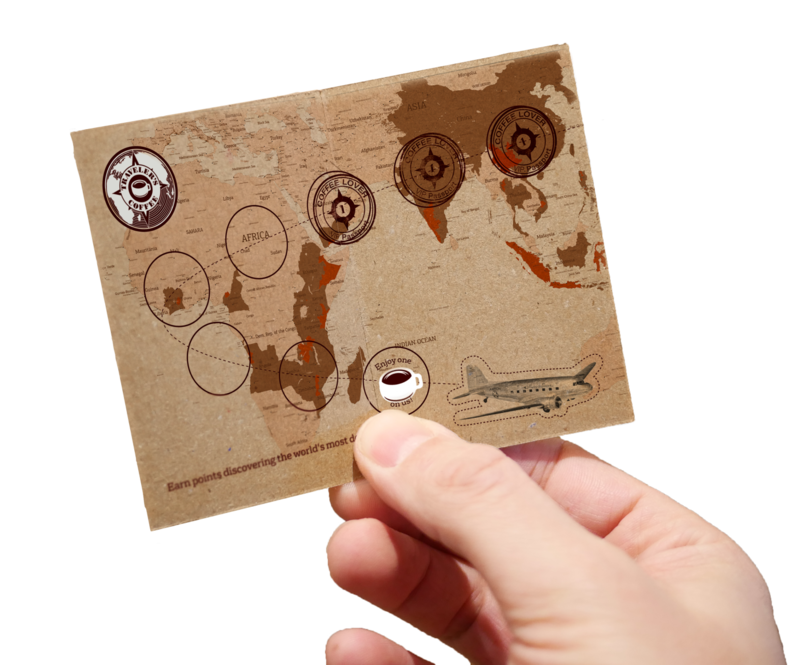 Which we plotted onto a vintage style map of the world, fashioning the slip stream from our retro aeroplane into provenance stamps from their single origin estate farms. The brand had been using a complex digital loyalty card which was difficult to maintain and troubleshoot. So we concepted a much simpler, lo-fi device which would be lots of fun and much easier to implement. 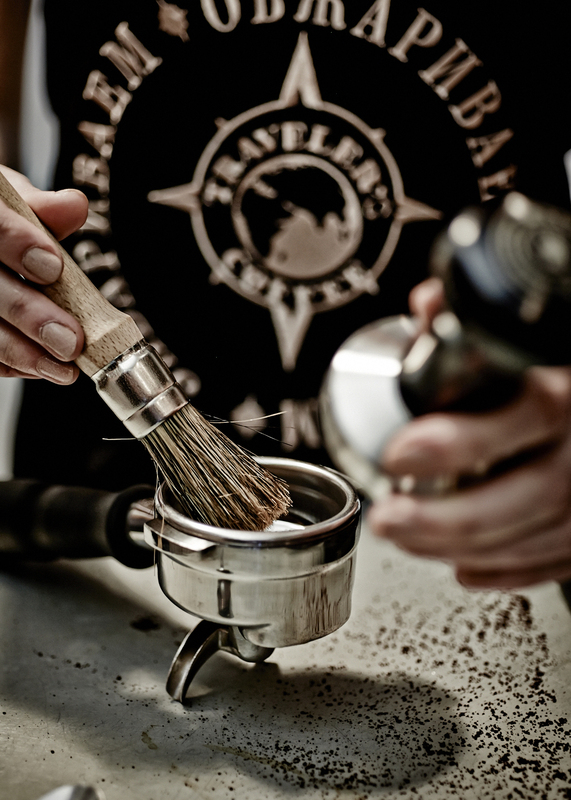 Coffee lovers would receive a hand stamp for each hot cup ordered to redeem a freebie further down the line.  We also created a range of custom icons for the brand to use. Which were applied as window decals, onto menus and lightboxes. And around the rim of their takeaway coffee cups. 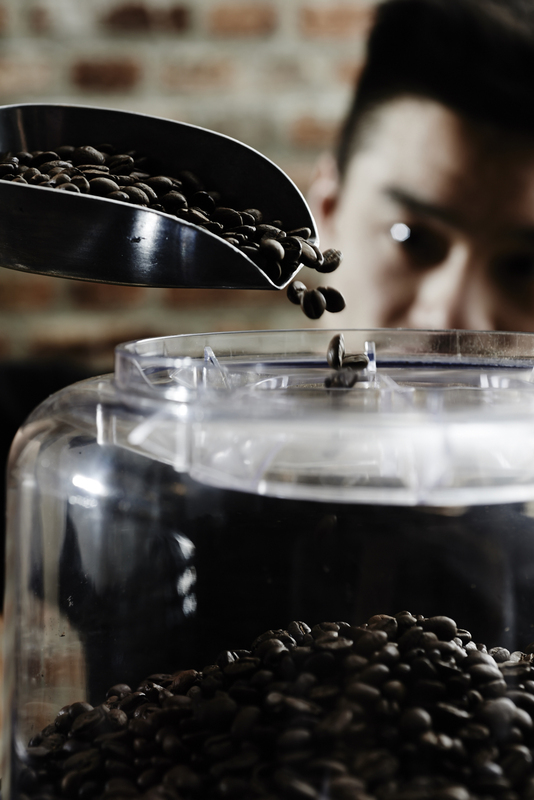 Designed to chart the story of how a delicious cup of the black stuff makes it from bean to cup. 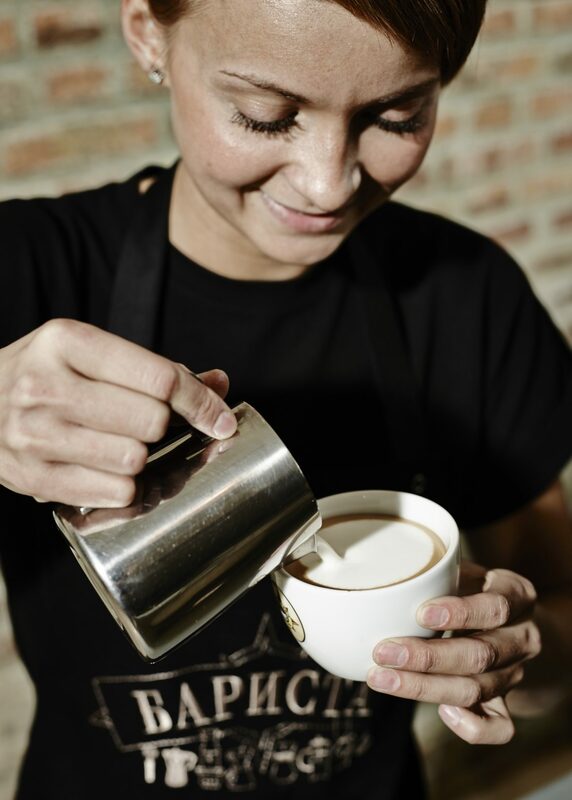 Via a whole range of specialist processes and through the hands of talented Baristas. 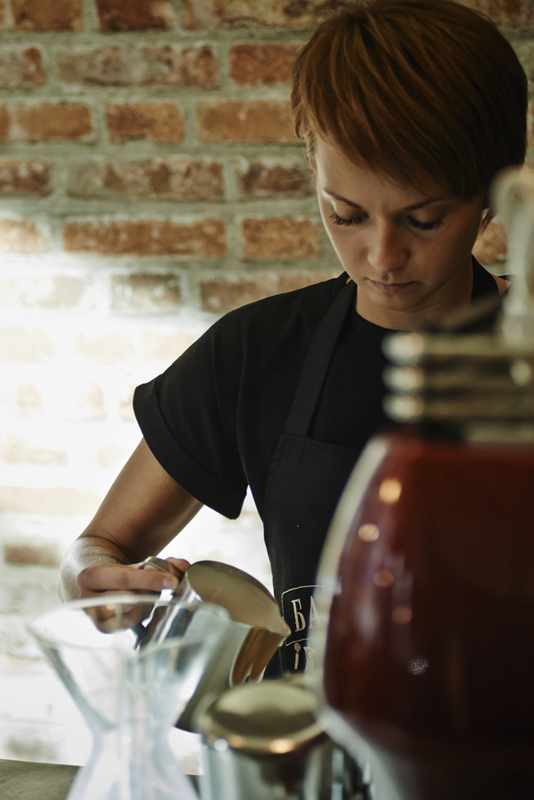 As part of our creative remit, we got to restyle the coffee company’s uniforms. Designing a whole range of T-shirts and sweatshirts and aprons, in simple white and black and bitter chocolate tones. With quirky slogans and illustrations. The uniforms came in English and Russian. And the Baristas and wait staff got to wear Converse and black jeans to complete their look. 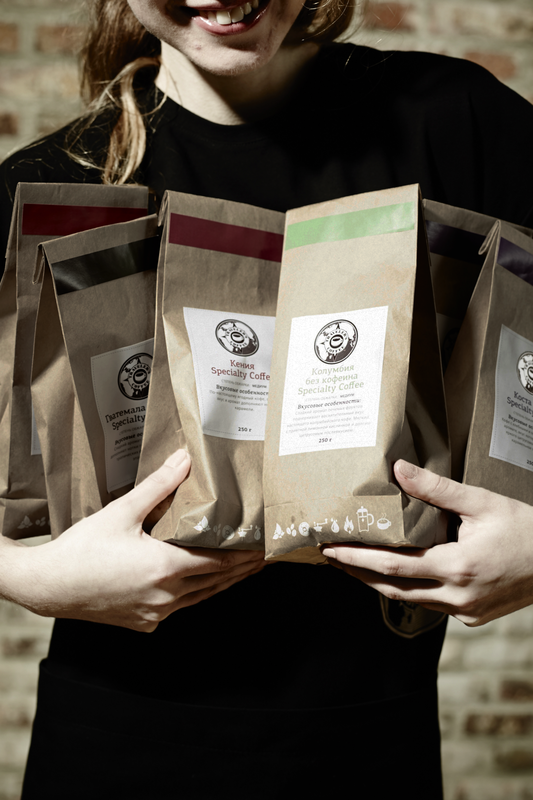 We also developed a brand new look for their packaging. Designing materials for a new ToGo range of sandwiches, salads, pastries and soups. Re-designing all of their napkins, condiments, take away cups, gift bags, pricing labels, ticketing and receipts. 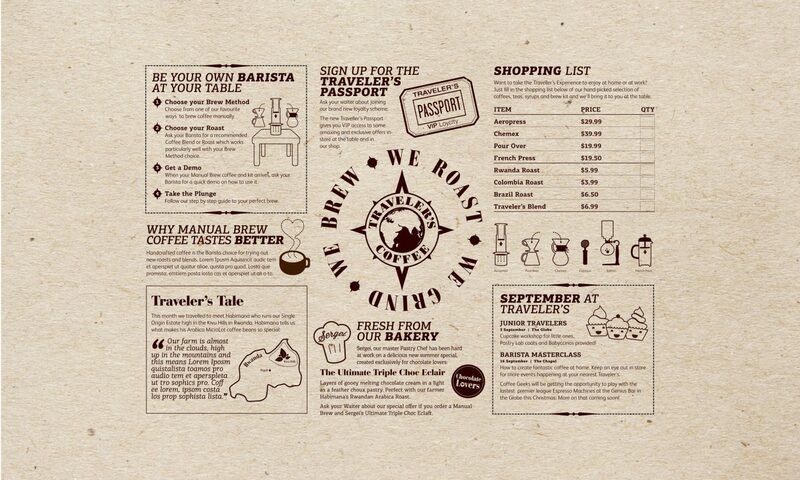 As well as designing a hard back new menu and A3 paper menu featuring news and stories about the brand. “This all looks so AWESOME! I’m so impressed… I’ve got goosebumps that aren’t going away and quite frankly a little tear in my eye.